This DIY is a Pinterest staple. 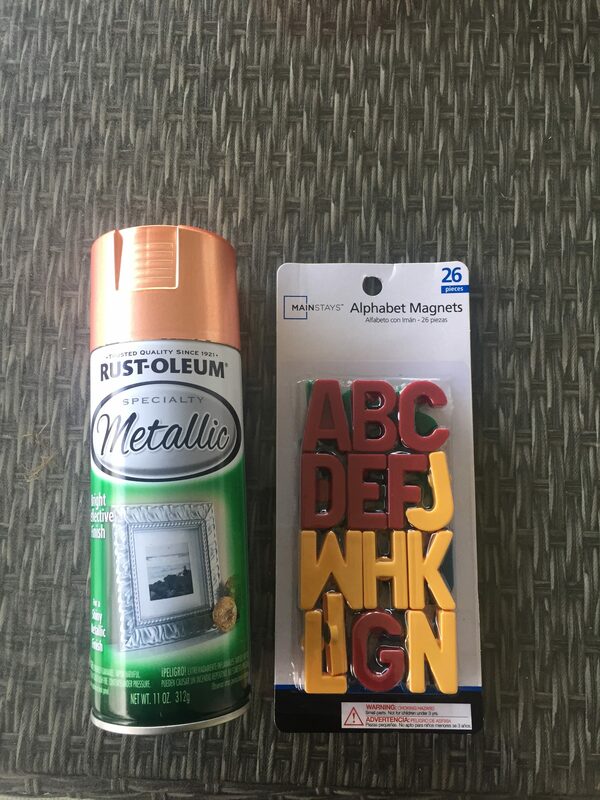 I’ve seen it pinned repeatedly for the last several years and since I’m always short on magnets on our fridge and I had this this metallic spray paint left over from two recent projects, I thought I’d give it a shot. To do this, simply spray the magnets and let them dry overnight or for several hours before you use them. I bought my magnets at Walmart but here’s an awesome deal on a pack of 72 magnetic letters and numbers . It’s such a fun project! I love the way they look on our fridge.